In July, the Global Campaign for Education-US has the opportunity to speak on mu ltiple panels for the Global Scholars program which operates through American University. The Global Scholars program was created in 2006 by A Project of Americans for Informed Democracy. The Global Scholar program is an immersive global leadership program for young achievers eager to build a more sustainable world. This small and selective program based in American University informs and empowers young leaders right in the city where policy gets made. The first panel was held in the National Democratic Institute building in Washington, DC. Students in the Global Scholars Program came together to listen to representatives from the World Bank, the National Democratic Institute, and the Global Campaign for Education-US in a discussion about global advocacy. Each organization had different perspectives and takeaways to leave the Global Scholars with for when they continue along their path of global curiosity. The Global Campaign for Education-US presented a slideshow on what it means to prioritize youth education and beyond for children and adolescents all over the world. The Global Scholars took notes as Ariel Brown, our Youth Engagement Associate, told the students that poverty is not just about living below a particular income line. Poverty also encompasses implications such as missing out on the social benefits and security which comes from a community which has access to education. Many of the students chimed in on how important education was to them and these students were able to contribute to the dialogue surrounding the need for more female teachers and role models in education systems abroad. The Global Scholars were given a list of advocacy strategies to get involved, such as Bird-Dogging, which is the practice of bringing up issues in a public setting in such a way to get policymakers on the record about a matter of importance. The World Bank helped equip the Scholars with the tools they’d need to enact change in their particular environment. By finding ways to adjust methods of engagement in political dialogue depending on the state of the socio-political climate in a specific location, it is possible to achieve results strategically. The National Democratic Institute taught the scholars how their work helped ensure fair elections and helped foster citizen-centered accountability in the developing world. The second panel was held at Watkins Hall on American University’s campus. The Global Campaign for Education-US sat alongside Girl Up to answer questions and foster a conversation concerning youth engagement and advocacy surrounding issues such as basic education and women empowerment. The panelists were able to hear firsthand from a few of the Global Scholars who are from various countries in Africa such as South Africa and Mauritius speak about how different the culture of education is in their countries. The Global Scholars were full of energy, ideas, and ready to make a change in their communities. 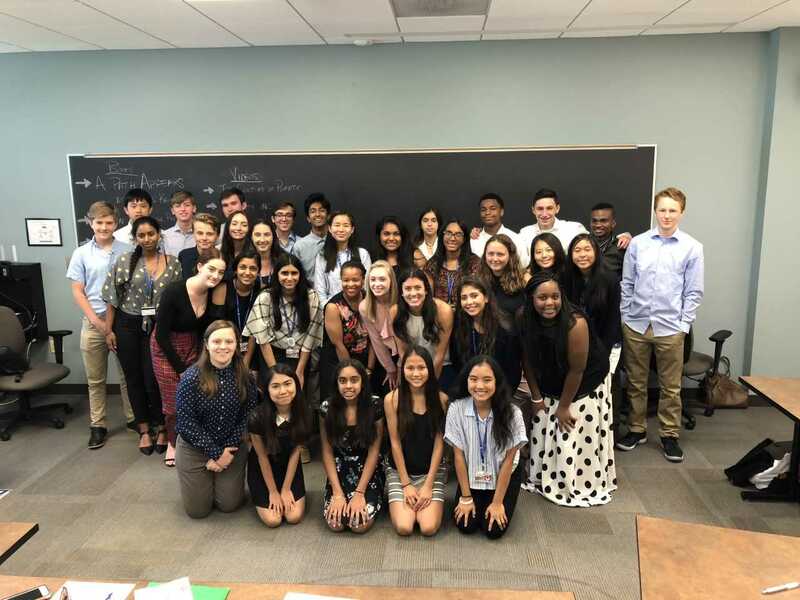 It was an enjoyable experience to feel the excitement from high schoolers of every grade level as they prepared for a life of international service and advocacy even if it means beginning at the grassroots level. Coming together to achieve a goal such as increasing education access for all means coming from a non-partisan perspective and researching which policymakers support legislation or issues which relate to your work and go from there. There is no one-size-fits-all for advocacy when it comes to supporting movements around topics such as quality of education and gender parity in education systems. Engaging in such a critical conversation surrounding advocacy work with incredibly devoted students was encouraging and inspiring. It is essential to have discussions such as these and to remember to empower and support our youth as they continue on their journey towards advocacy work. Young people such as the students participating in the Global Scholars program are a part of the future generation who will one day shape the world we live in. Let’s empower them.